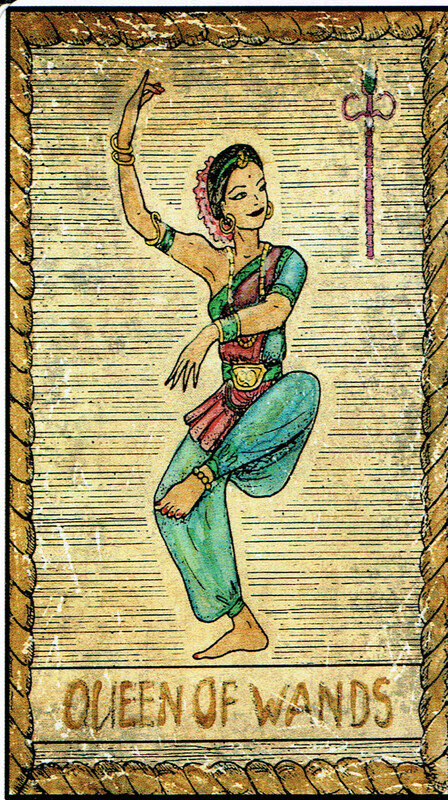 This Tarot deck was created by the Russian illustrator Vera Petruk, who uses the alias Samiramay. 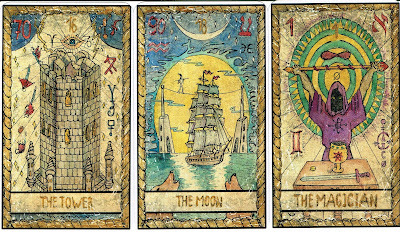 There is another Tarot, The Old Memories Tarot, by the same creator, which uses the same images for the Majors but different ones for the Minors. It also has different backs and a different border and isn't fully colored like this one. The images are done in watercolors, liners and pencils. The cards are made look vintage with horizontal rippled stripes. It's a self-published deck, that is printed on demand and can be ordered on makeplayingcards.com. It's cards only, they are shrink wrapped without box or bag. 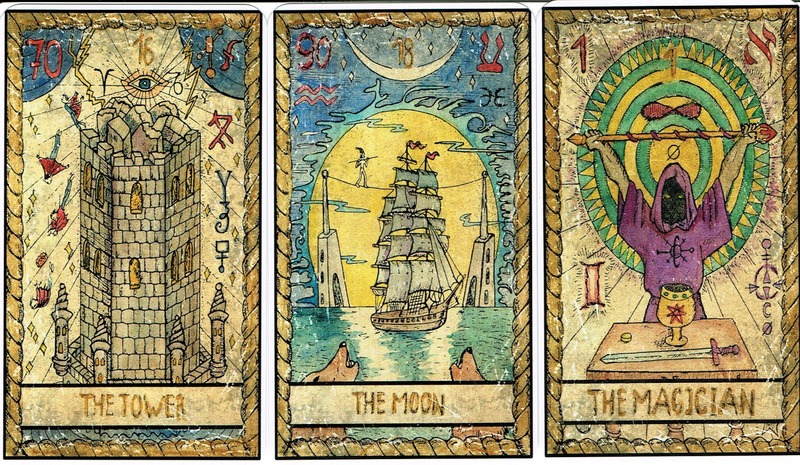 Each card has zodiac and alchemy related symbols on it. The Minors are pips with a number at the center surrounded by symbols . Each suit has has a token image, which is displayed on the Minors. 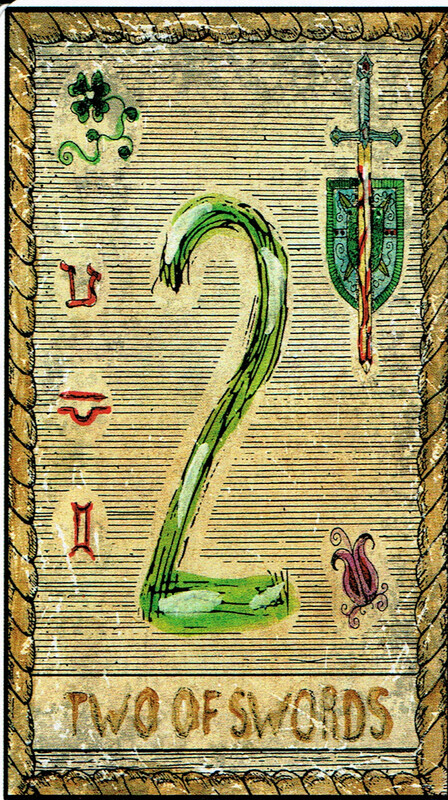 The suit of Wands shows a salamander, Cups display a set of three leaves, Swords has a violett flower and Pentacles come with a snake. The Majors have the usual number in yellow, most times (but not always) at the top center, additional they have most times (but not always) a Hebrew letter in the upper right corner and the corresponding numerical value of the Hebrew letter in the upper left corner. 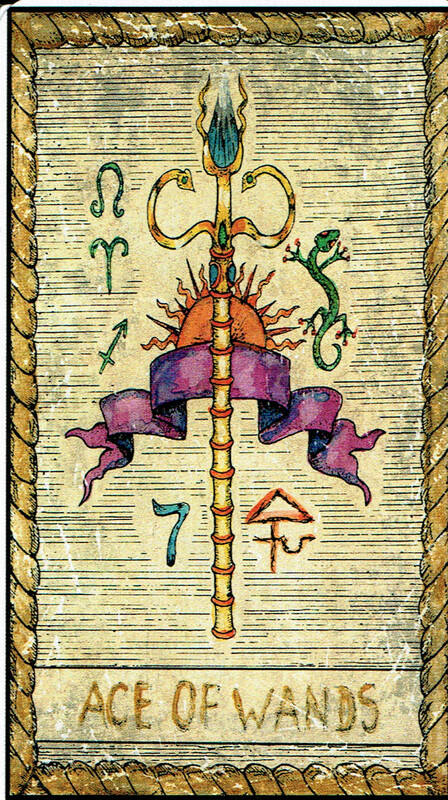 The astrological attributions in the Majors aren't compatible with the Golden Dawn system, but since there comes no booklet with it there is no explanation for the artist's choice. 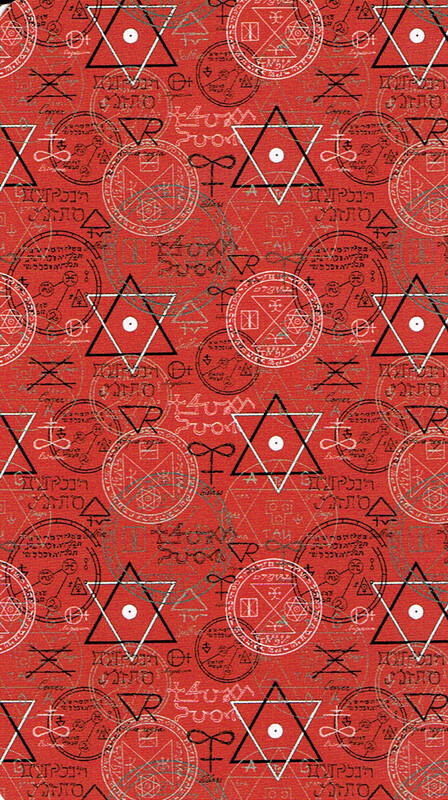 The backs show a pattern with the Star of David and are not reversible. this deck is no longer for sale!!!!! !